We never think of backing up files until we lose some of our important data. Backing up data is very important to prevent data loss. 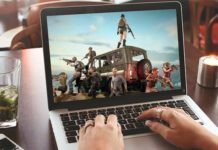 Here’s a complete guide to back up your files or computer. Windows comes with an inbuilt tool to back up your files. But this tool isn’t that much efficient, also, it lacks many features. So we are going to use a third party tool to back up our data. Here are few reasons to choose a third-party back up tool. Why You Need a Backup Tool? For cloning a hard drive. 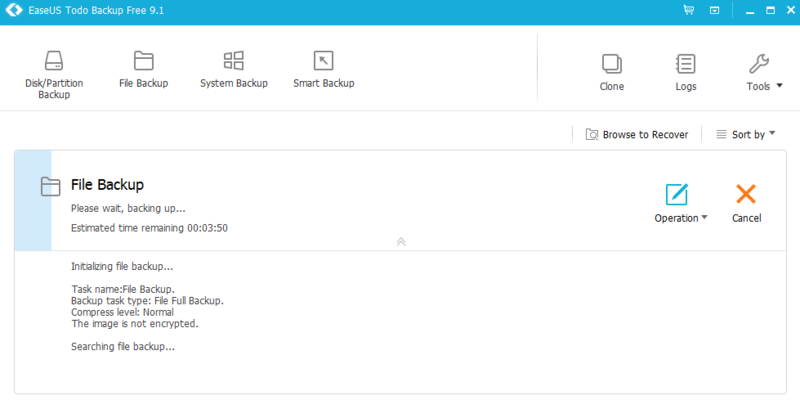 We are going to use Easeus Todo backup tool as it is able to perform all the above functions. 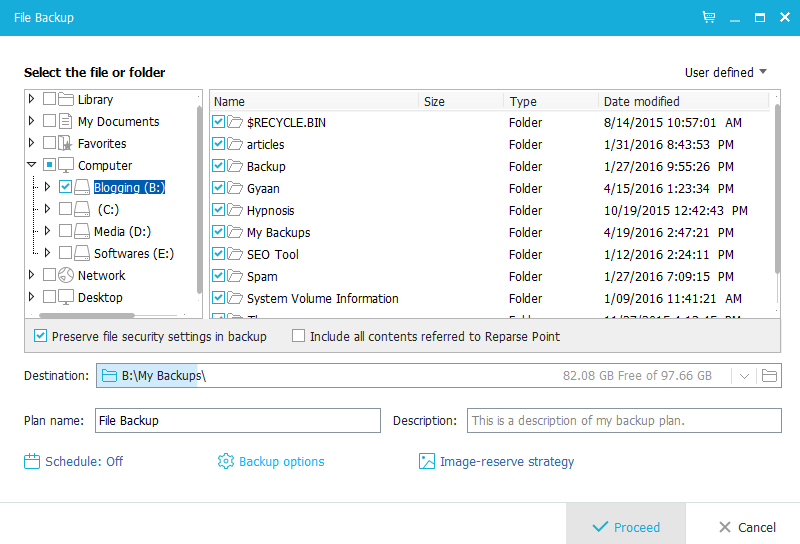 Easeus Todo Backup is a great tool for those who need a versatile backup solution. It is the most comprehensive free backup solution which supports both file and image backup. Launch Todo backup free and select File Backup option. It will open a new window, on the left-hand side select the files/folder/drive which you want to backup. In this case, I have selected the entire drive, now click on Backup options. Here you can select the compression level. Note, higher compression level will take more time to backup. You can also set a password to the backup file by switching to the encryption tab. Once you’re done. Click the proceed button to start back up process. After the file is backed up, simply double click the backup file and it easily opens as if it was a folder. This allows you to browse all the files and restore the one which is needed. If you are upgrading to newer disk then you might want to copy all the data of current hard drive to the newer one. In such case EaseUS backup workstation is a life saver, It lets you quickly clone your data including system files so that you don’t need to reinstall your operating system after switching to a newer disk. 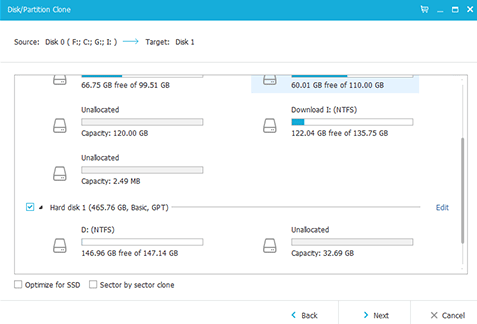 First, you need to download and install EaseUS backup workstation. Open Todo backup workstation and click on Clone. You can see the list of hard drives connected to your computer. Now check the disk you want to clone and click Next. Now select the destination disk where you want to clone your hard disk and click next. It will preview the disk layout, click proceed to start cloning your hard drive.